This is a question that all Army fans are wondering. One thing that we know for sure is that Navy won’t be in the top 25 at the end of the year. The last time the Black Knights were ranked was during the 1996 season. After starting 9-0, we debuted at #22 before losing to #19 Syracuse. After beating Navy and losing narrowly to Auburn in the Independence Bowl, the Cadets finished at #25 in the final AP Poll. Given how similar this year’s team is to the 1996 squad, will they finish the season ranked in the top 25? It is important to know that the CFP Rankings (the ones that start in Week 8 and determine who makes the Playoff) do not occur after bowl season. The AP Poll and Coaches Poll will determine the final rankings. Four teams in the AP Poll and three teams in Coaches Poll dropped out of the top 25 following the conclusion of bowl season last year. All of those teams were ranked above the 20th spot. The 2015 season had a lot less turnover in the final top 25, with only one team dropping from the rankings. 2014 saw two and three teams fall out of the AP and Coaches rankings respectively. In order for the Sons of Slum and Gravy to slide into the top 25 like you slid into your MA103 class right before the Section Marcher called “Class Attention”, we will need some losses from teams currently ranked 20-25. The good news is that the Black Knights have received votes in at least one of the polls during Week 10-14. The most votes that we received came in Week 12 before the North Texas loss where we received 14 votes in the Coaches Poll and 3 in the AP. So let’s take a look at the bottom six teams and see which one should open up a spot for the Black Knights. Northwestern (W) – They played Kentucky on Dec 29th. In my Bowl Preview article, I picked them to win and they did. The Wildcats will remain in the Top 25. Washington State (L) – Although I picked Washington State to beat Michigan State in the second longest bowl game name this year (Read about the “Best” Bowl Names for 2017 here), I am really glad they lost since it will help the Black Knights get into the Top 25. Virginia Tech (L) – As I predicted, Mike Gundy and the Cowboys beat them in the Camping World Bowl. After the loss, they will drop out of the top 25. South Florida (W) – Quinton Flowers and the Bulls found a way to come back against the Red Raiders in the first exciting bowl game of the year. The only disappointment with this outcome, other than them retaining a spot in the top 25, is that their game went on for too long, which caused the Long Grey Line to miss some coverage of the Army Team! Mississippi State (Projected L) – I fully expected that Lamar Jackson will beat State in the Taxslayer Bowl (game preview here). After that loss, the Bulldogs will be removed from the top 25. Boise State (W) – They already dismantled the Oregon Ducks in one of the earliest bowl games of the year. Broncos will move up in this year’s rankings. So if Mississippi State loses then we should have three spots open up for teams outside the Top 25 to move into. Let’s look at the potential teams that could fill those spots. The teams below are listed in order of probability of making the Top 25 prior to their bowl game. NC State (W) – NC State is currently ranked#24 in the CFP Rankings, but they are unranked in the AP and Coaches Polls. After easily beating Arizona State, they will be in the final rankings. San Diego State (L) – Well we already took care of these guys. If you didn’t know the Aztecs were ranked #25 in the Coaches Poll before being pushed out after Conference Championship weekend. In Week 15 San Diego State received 40 votes for top 25 in the AP Poll and 50 votes in the Coaches Poll, which was more than any other team besides NC State. They would have definitely been the in the final rankings if they had won. Toledo (L) – They just didn’t lose to Appalachian State, they got demolished 34-0. That makes back to back years that the Mountaineers have beaten the Rockets in the postseason. 11 wins wasn’t enough to get them into rankings before the bowl loss and it won’t be enough after. Florida Atlantic (W) – Last week they received 8 votes in the AP and 24 votes in the Coaches Poll. Lane Kiffin just signed a 10-year extension and won in a CONVINCING fashion against Akron, who was the MAC Runner-up. The Owls have now won 10 straight and should be in final rankings. So here is where it gets interesting because there are several teams that are deserving of the third spot. Man, I’m nervous! Fresno State (W) – The Bulldogs won their bowl game against Houston and now have 10 wins on the season. The beat Boise State (ranked #23 at the time) in their last regular season game in Week 13. The two teams met again the very next week in the Mountain West Championship where Boise State took revenge, beating then ranked #25 Fresno. Michigan (Projected W) – They played four top 25 teams this year, including #2 and #9. 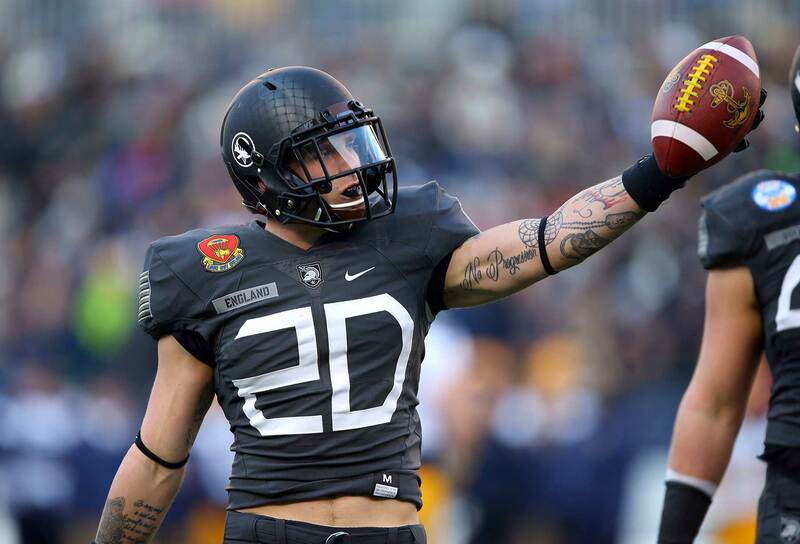 A decisive victory over South Carolina may put them in over Army. It’s hard to shake the brand name recognition. If you had to put a month’s base pay on Army vs. Michigan, who would you choose? Army (W) – We have to hope that the voters remember how good San Deigo State actually is. Their 10 victories on the season include wins over #13 Stanford (ranked #19 at the time) and Arizona State. Their other two losses have come against Boise and Fresno State, who may both finish in the top 25. If we had not played Ohio State we would have had 11 wins on the season. If we didn’t lost to North Texas we would be in without a doubt. South Carolina (Projected L) – Their schedule is just slightly weaker than Michigans. They only played two top 25 teams during the season (#1 and #3), but they beat NC State early in the year who is now ranked. If they win they could get in, but Michigan has a better chance of breaking the top 25 with a victory in this matchup. Troy (W) – The Trojans now have 11 wins on the season and they didn’t play in a conference championship game (The Sun Belt doesn’t have one). They beat a good North Texas team that we all remember 50-30 in the R+L Carriers Bowl. Oh yeah, and they beat LSU who was ranked #25 at the time. Louisville (Projected W) – The Cardinals just haven’t been as good this year. They don’t have any key wins or close loses. A win against #23 Mississippi State could put them in, but they are the biggest longshot. If Michigan and Louisville both lose we should get in at least one postseason polls. I was hoping for an NC State lose, but they won as I predicted. 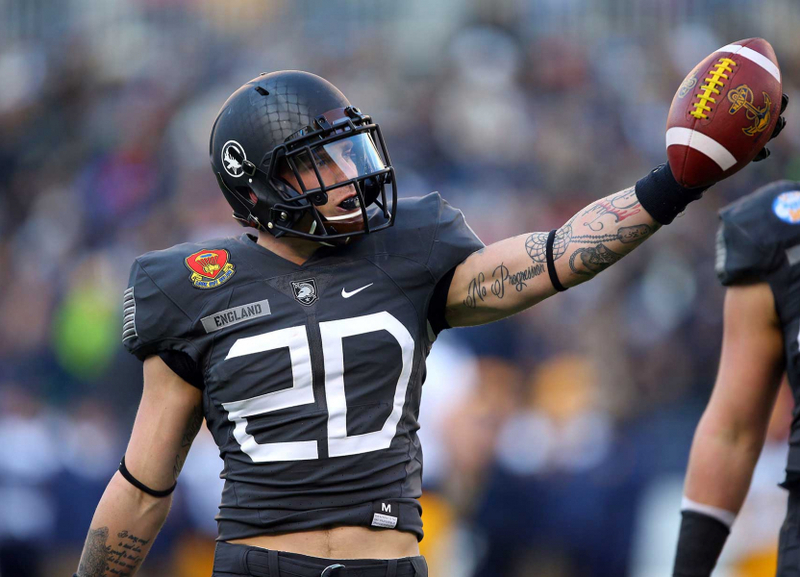 If Michigan and Louisville both win, then Army may find itself looking from the outside in. As listed above NC State, Florida Atlantic, Fresno State, and Michigan (with a win) have as good or better resume/reasoning to be in the top 25 than the Black Knights do. The AP Poll usually selects the better team while the Coaches Poll leans towards the more deserving team. Since coaches vote in that poll, the W-L column usually has more of an impact, which bodes well for us. As the optimistic Cadet in the Red Sash, I predict that the Black Knights will get into at least one postseason poll.